Jalyukta Shivar Yojana is one of the schemes launched by the Maharashtra Govt. which has the main objective of fighting drought issues in the farm lands across the state and improve their agriculture. This scheme has the objective to store and manage water recourses and use them for agriculture in those areas where farmers are suffering from low rainfall and irrigation problems. The water conservation project was launched in the year 2015, by the Hon’ble Chief Minister of the state, Devendra Fadnavis. Taking permanent and feasible measures to fight the draught situations in the state. The target is to make the entire state free of draught by the end of 2019. The Govt. has set yearly targets for completing this entire project within the promised deadline. The Maharashtra Govt. has set the target to revive the water bodies of 5,000 villages in the state every year. For this scheme, the Govt. has also allocated Rs. 70,000 crore initial corpus. There were several other water conservation, irrigation and drought management schemes in the state. Those all schemes were brought together and bonded with one single scheme and form the Jalyukta Shivar Yojana. The Jalyukta Shivar team is dedicated to spread the awareness campaign for the scheme. This scheme has already become a people’s scheme where huge amount of masses are coming forward together to support the scheme. The participation from the scheme has been overwhelming and is adding to the scheme’s success. The Maharashtra Govt. has already started initial talks with actor Aamir Khan to become the part of this campaign which will surely boost up the scheme. More than 1.2 lakh works from small ponds to large dam projects has been already completed under this project. At present there are 35,000 more works are going on. The Govt. has sanctioned a huge initial corpus of Rs. 75,000 crore for the Jalyukta Shivar Scheme. There has been a huge financial participation from the general public in the corpus amount. A total of RS. 300 crore has been funded by the general public for the implementation of this scheme. Within six months from its launch, the scheme has already covered more than 6,000 villages throughout the state, including the worst draught affected districts. This initial response will surely boost up the work ambitions of the Govt. The govt. has set a target of 5,000 villages per year to be covered with this scheme. The Maharashtra Govt. has set the work completion period till the end of 2019. Hence, it aims to fully implement the scheme throughout all its districts. It has started this project from mid 2015. In its first six months only, the project has seen huge response as a total of more than 6,000 villages were covered under this scheme. At the launch of Jalyukta Shivar scheme, the Maharashtra govt. had set a target of implementing water conservation and irrigation techniques to a minimum area of 25 lakh hectare throughout the state. Within 15 months, the Govt. with major support from general public has been able to cover more than 60 % of the area target i.e. more than 15 lakh hectare. Almost all worst drought hit districts and covered. The state of Maharashtra has been suffering from drought and water scarcity problems from the past few years. This has taken a hit on the yield of the agricultural sector and its direct effect is on the farmers. Hence, the Jalyukta Shivar Yojana aims to make this state a drought – free zone by the end of 2019 and end the suffering of the farmers. Although there were several water conservation schemes present before this scheme, they were not efficient enough to fight the massive problem of drought and poor agricultural yield. This resulted more number of farmer suicides in the state. Maharashtra is one of the states with highest number of farmer suicides in India. Thus Jalyukta Shivar Yojana aims to fight this big problem and to slam brakes on the farmer suicides. The aim is to revive all the available water sources in the state and conserve every drop of water. This huge project has generated thousands of jobs across the state and employed in various works under the scheme. Age: Candidates, who are applying for the jobs, must be above 18 years or more. As the jobs are for the engineers it is inevitable that the minimum age limit must be above 18 or more. However, no criteria have been given for upper age limit. Age relaxation: As per the rules set by the government of India, people who are physically disable, belongs to scheduled caste, scheduled tribe and other backward class will get benefit of age relaxation. Education qualification: Candidates, who are applying for the jobs mentioned above, must have completed civil engineering degree from recognised university or institution. Bachelors in Engineering or BE degree is mandatory for the job application. Salary Status: Some of the applicants will be able to draw Rs. 20, 000/- per month salary in these above mentioned 4 jobs. To get the benefit applicants have to fulfil some criteria. To know more details candidates can visit the following link http://parbhani.nic.in/htmldocs/egs_panel_technical_officer_31_03_2018.pdf. Official Web Portal: To apply for the following jobs mentioned here the interested applicants are required to visit the official web portal http://www.parbhani.nic.in/. All the rules and guidelines related to the jobs and new openings will be available in this webpage. Application Form: Application form can be downloaded from the website. To get the form from the website, the candidates are needed to register with the website first. Those who are already registered can log in to the portal and download the application form. After filling up the form, submit it online. Application Process: After logging in to the website, candidates are required to click on the link ‘How to Apply’ to get the full details about the form and such. Application form for the available jobs is available in PDF format. Application must be done within the due date mentioned in the website. After applying for the posts, candidates have to wait for their call. As per the rules set by the District Government, candidates are required to appear for an entrance test. Selected candidates (on the basis of eligibility and application) would have to give an examination further. On the basis of their performance they will be selected. Results and Admit Card is available on the web portal only. Candidates will receive the notification regarding the result or admit card. They can take print out or download the copy in their computer by clicking on the following link http://parbhani.nic.in/htmldocs/recruitments.html. The 265 villages in the Solapur district have undergone 446 works under the Swachchit Shivar Abhiyan in 2016 – 2017. Out of which, 437 have already made complete with a maximum spending cost of Rs. 24 crores and 25 lakhs. Besides this, 303 have been completed worth Rs. 24 crores and 15 lakhs. 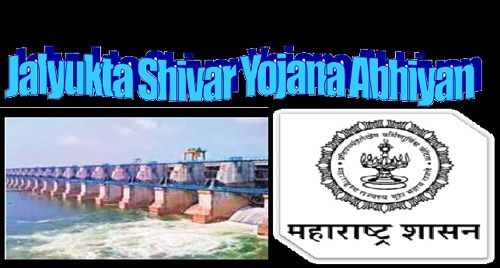 To the statement given by the Zilla Parishad, the 40 million cubic feet of water storage is activated. The scheme ensures to develop the water storage at the place. At the event, the Water conservation officer of Mohol and Kurduvadi, P. B. Bhosale, Barshi’s M. M. Sonawane, South Solapur’s MK Mulla, Malsehir’s Ingle, Akkalkot’s CV Gholve, were present.